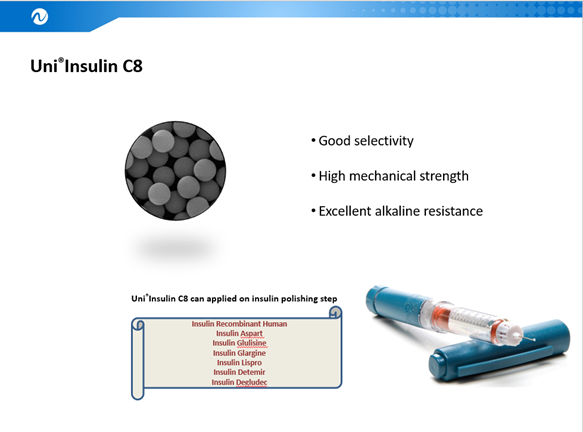 Insulin is a peptide hormone produced by β cells of the pancreatic islets, and has a molecular mass of ~5000 Da. It is a dimer of A-chain and B-chain, which are linked together by disulfide bonds and it is considered to be the main anabolic hormone of the body. It regulates the metabolism of carbohydrates, fats and protein, especially glucose from the blood into liver. Insulin's structure varies slightly between species of animals. 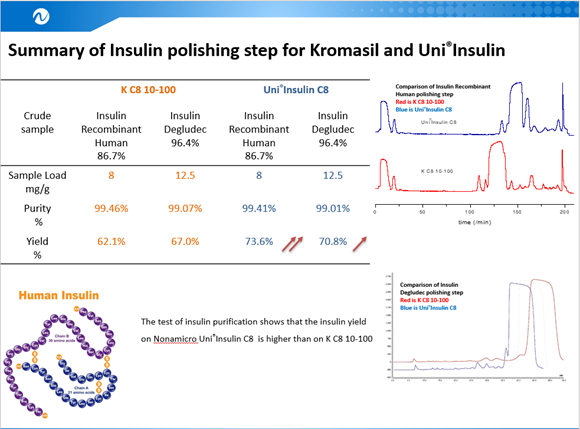 The following figures display the major structure variations of human insulin and its analogous. 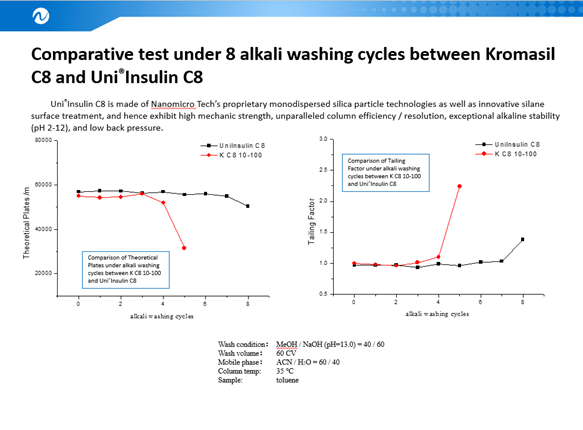 Nanomicro Tech`s Uni®Insulin is a desirable Chromatography Media for polishing step of insulin purification process. 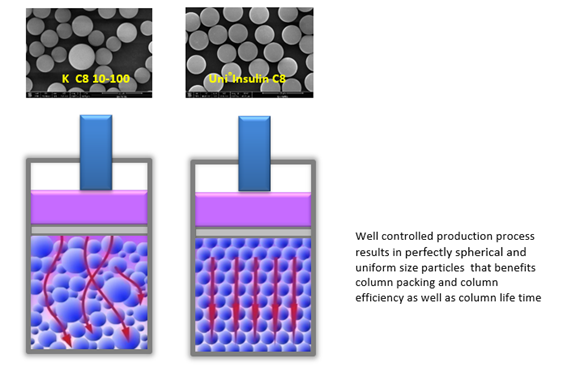 They are made of Nanomicro Tech`s proprietary monodispersed silica particle technologies as well as innovative silane surface treatment, and hence exhibit high mechanic strength, unparalleled column efficiency / resolution, exceptional alkaline stability (pH 2-12), and low back pressure.